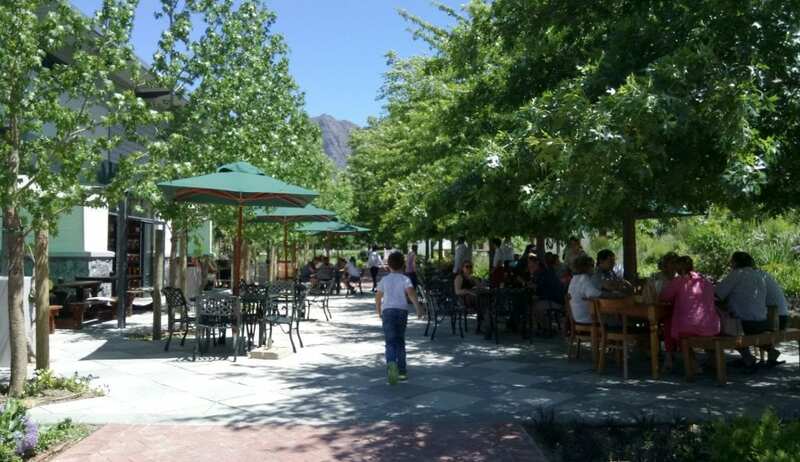 Lourensford Wine Estate is a beautiful, lush paradise on the town edges of Somerset West. 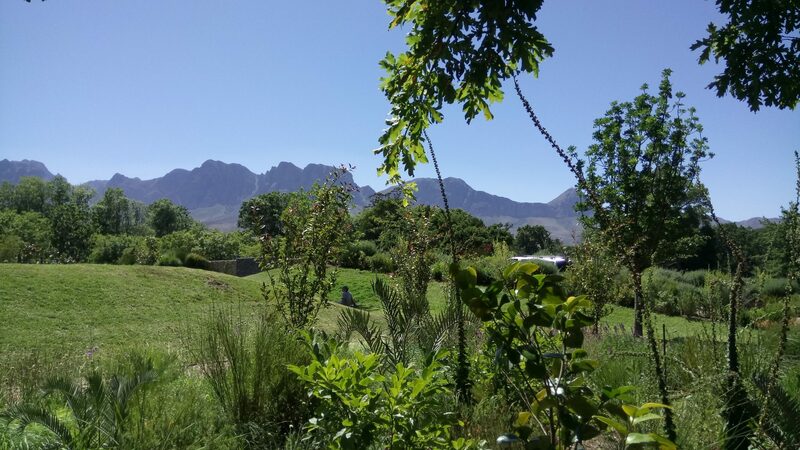 Not only does the estate enjoy prime Helderberg real estate, but it also offers one of the most gorgeous garden setting imaginable, with the impressive Helderberg peaks beyond. 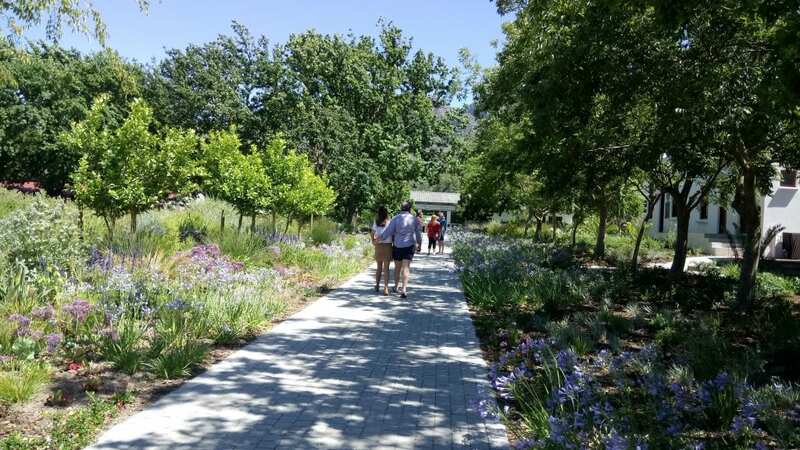 Roll up the elegant drive – peeling back one beautiful layer to the next, as you pass vineyards on one side, lush gardens on the other – and you discover Lourensford hidden away behind the trees and amid splendid garden spaces, like the magical wine farm that it is. 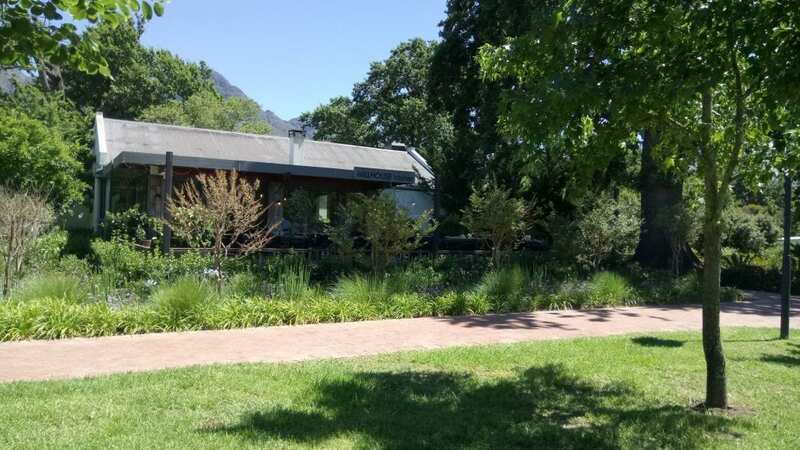 Our mission (aside from visiting the endlessly popular Lourensford Market and relatively new Motor Studio) was a simple one: to enjoy Lourensford Estate’s quality wines through one very special tasting: The Belgian chocolate and wine pairing. 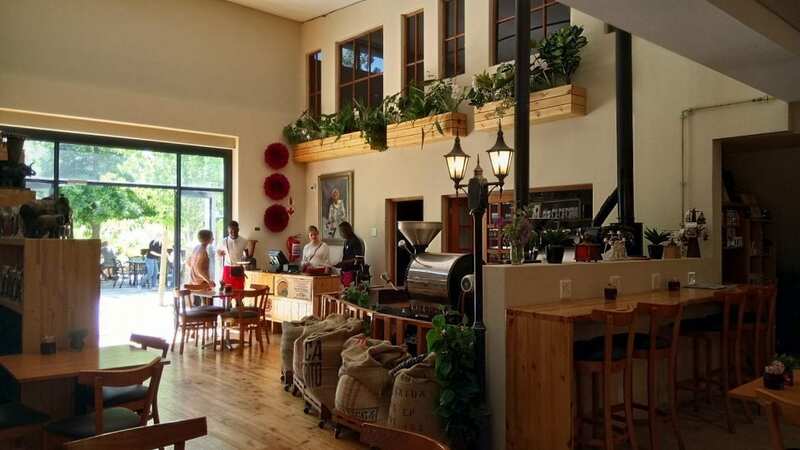 After exploring the gardens (a natural wonderland for kiddies: think expansive lawns, flowering shrubs and spouting water features aplenty), the art gallery and The Coffee Roasting Co., we made our way to the stylish Tasting Room. 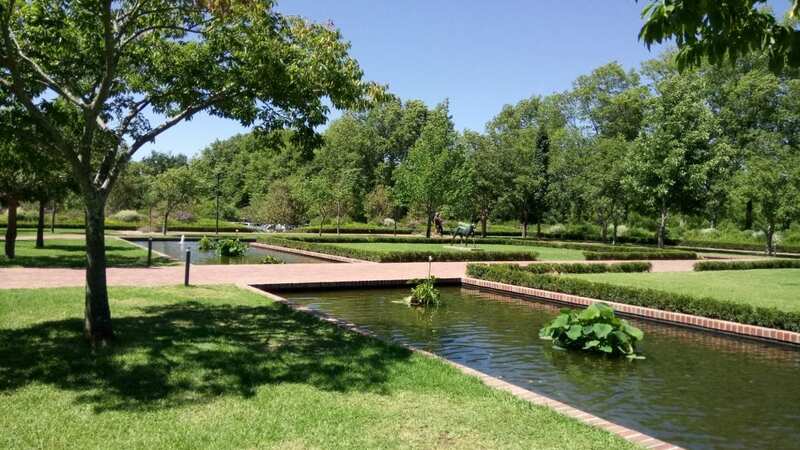 Before you step inside, take a moment to soak up the natural beauty just beyond the cellar doors, where watchful leopard statues, canal-like ponds and gorgeous gardens abound. Nearby, to the left, you will also find The Millhouse Kitchen, which I’ve heard pretty good things about! 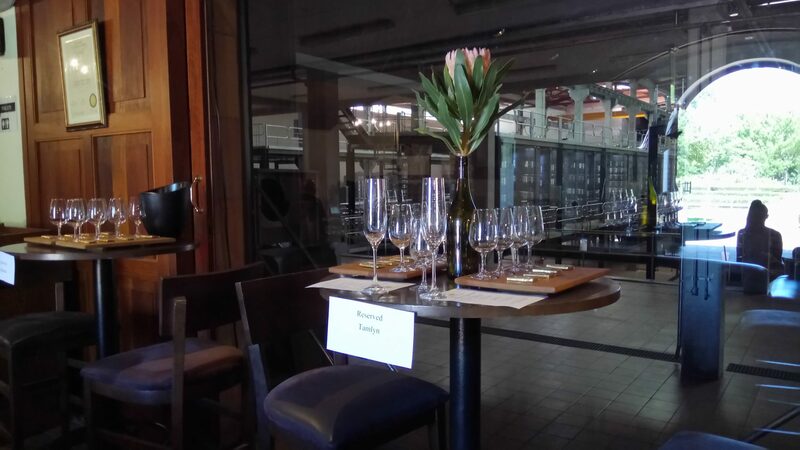 The Tasting Room isn’t huge inside but it does have more than enough space to sit, either at your own table (there’s also a large table towards the side for bigger tasting groups) or on comfy leather couches in the room’s centre. This quietly simple, yet stylish space also offers a glance into the large energy-saving winery, where the wine-making process is finished. Fortunately for us, our table was pressed right against the glass window on the other side of this, so we got to enjoy both this and the estate’s stunning outside views. 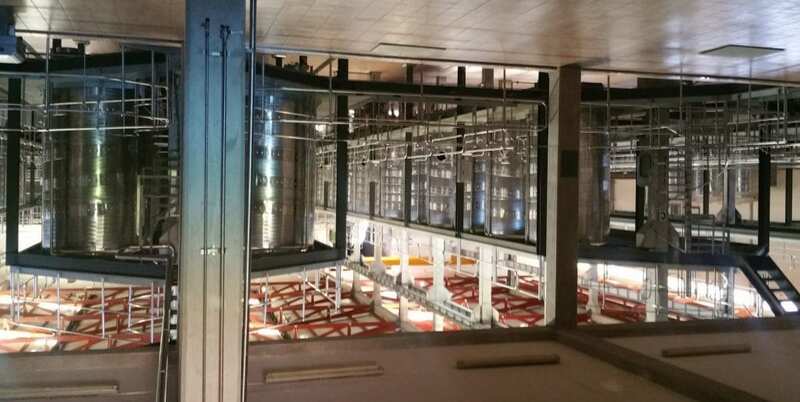 The cellar itself was built around 2002/03 and while the winery is young, it uses some of the most advanced technology around. 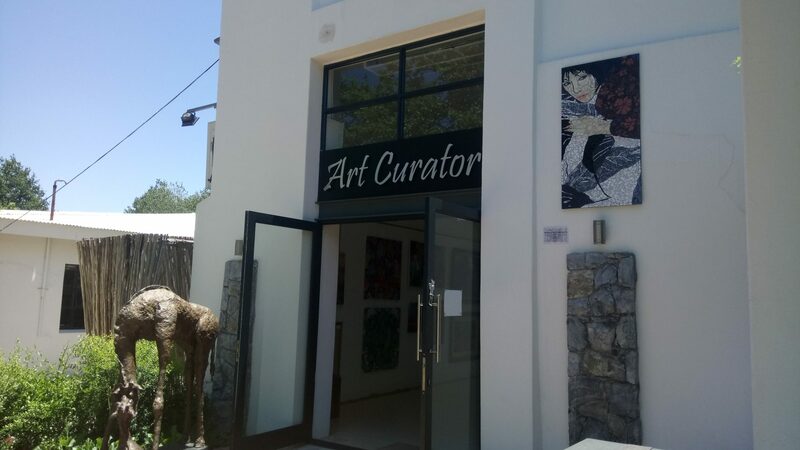 As you enter, you will immediately see a sign explaining all the amazing sustainable solutions that Lourensford follows or promotes. 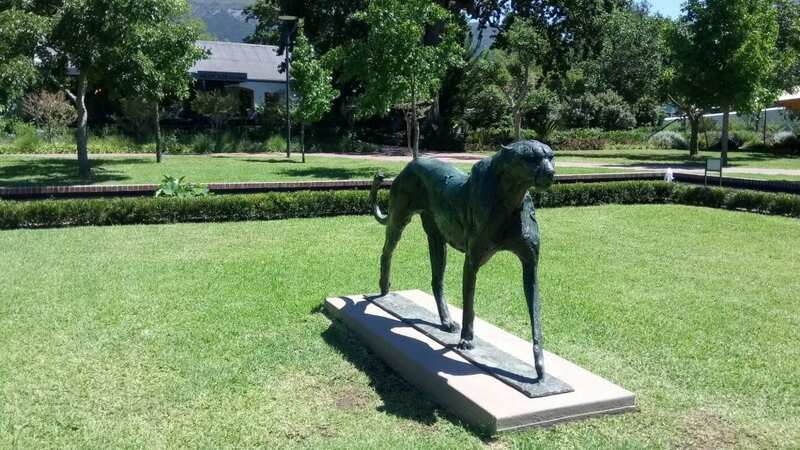 This includes, but is not limited to, top, energy-saving solutions (used across the estate) and The Cape Leopard Trust’s Boland Leopard Project. 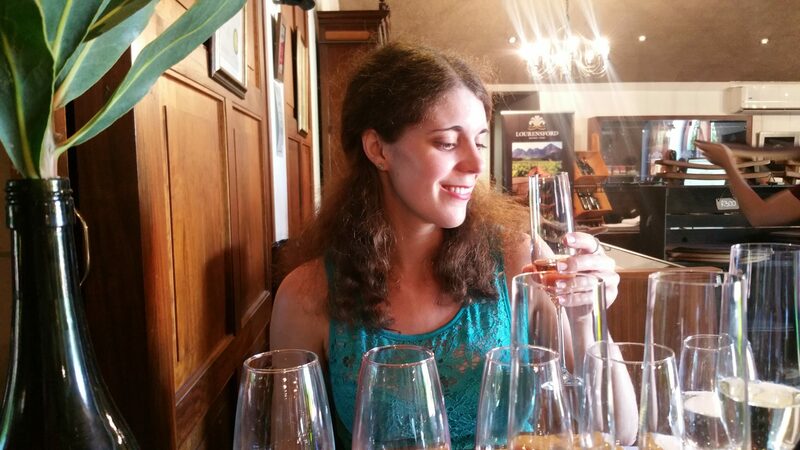 Once we’d had a quick look around, it was time to enjoy our brilliant wine tasting! We sat down at a table for two. I was impressed to see that a well-placed name tag had even been set there to show it was reserved for us; this was a lovely gesture and makes you feel immediately welcome and looked out for! Our excellent wine tasting guide, Christine, was an absolute delight, and it was a privilege to listen to her knowledge on the wines and overall estate. As she told us, Lourensford is especially well-known for its white wines – in particular the limited release Chardonnay (this is their flagship wine; you see the vineyard as you enter the estate) but this doesn’t stop them from producing excellent reds too – especially their Shiraz, which is divine! 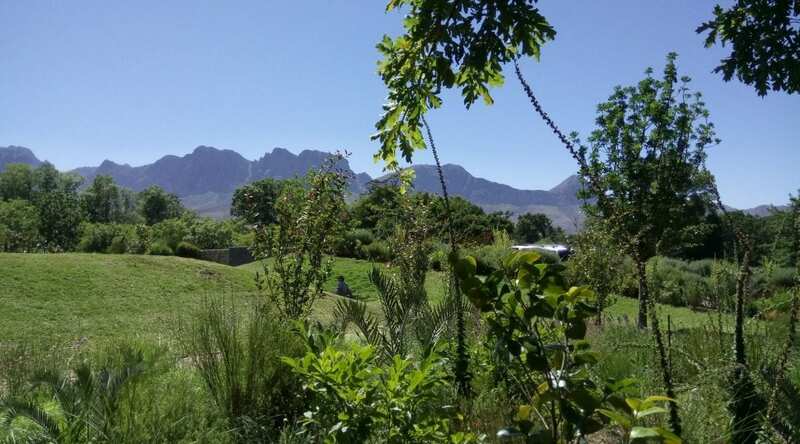 Due to its vastness (some 4000 hectares, though the vineyards cover under 100 hectares), the winemaker, Hannes Nel, has been fortunate enough to be able to pick out the best places to put the vineyards, while still leaving plenty of space for the fruit trees, garden and trees. 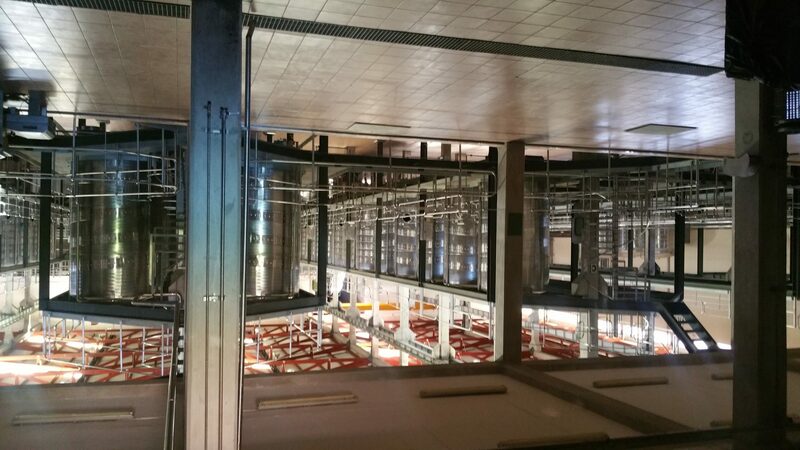 While the farm is still considerably huge, it is nothing like it used to be. 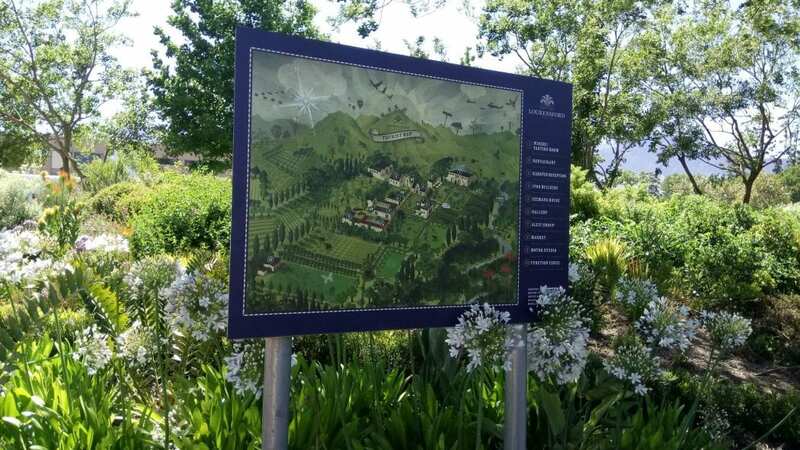 In the olden days, Lourensford covered some 30,000 hectares and it was fascinating to learn how Lourensford, neighourbouring Vergelegen and Morgenster and part of the town (Erinvale Estate) were once joined together in one vast farm. This was after the Cape’s third governor, Willem Adriaan van der Stel, was given a small plot (originally meant to be about 60-80 hectares in size) and decided to take quite a bit more than he was meant to… After he was caught out and sent back to the Netherlands a poor man, the farm was divided into those four parts. 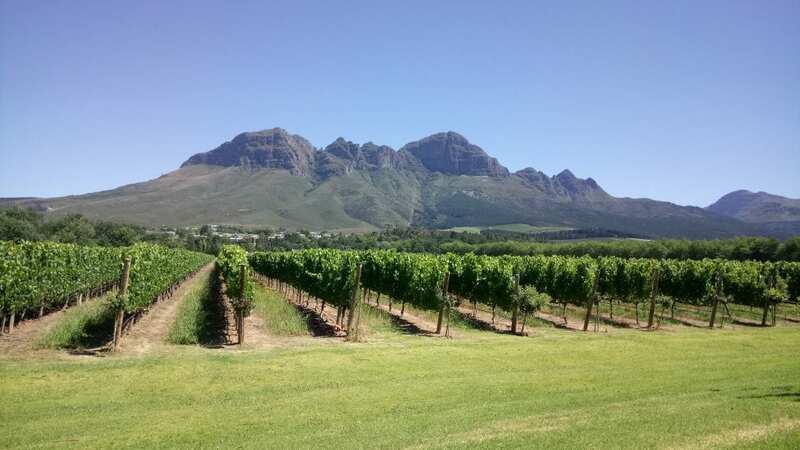 Since top South African businessman, Dr Christo Wiese, bought the farm in 1998, the farm has been promoting wine, fruit and nature conservation. 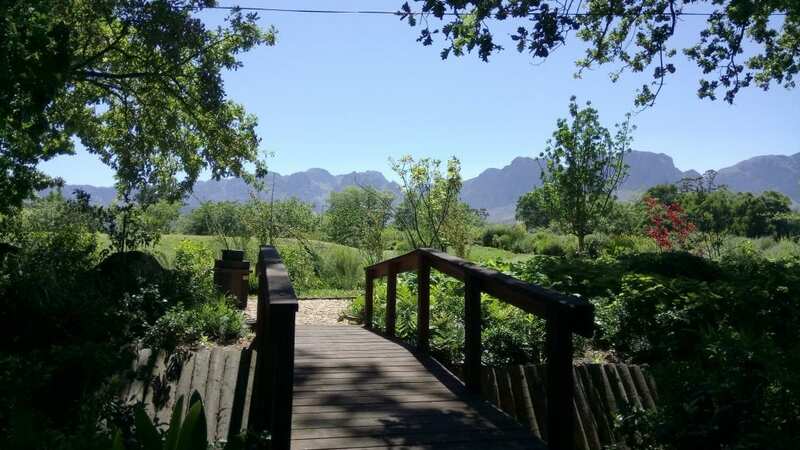 Lourensford’s conservation efforts include allowing animals, fynbos and proteas to remain on the estate, and also supporting the important leopard conservation (this is engineered to protect the fynbos leopards, who still dwell in the mountains). 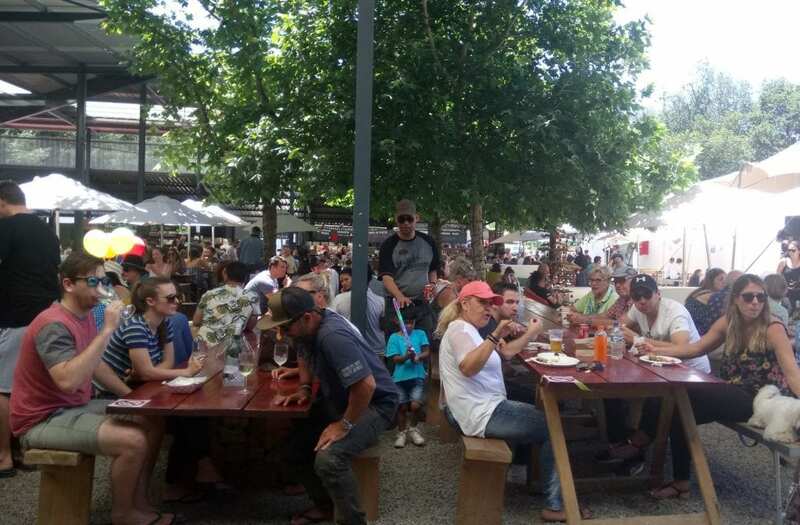 By championing these causes, the estate has ensured that everything on Lourensford is either produced on the farm or else, it is made for the farm. I find this hugely admirable and love when farms do their best to preserve nature, while still producing world-class wines. 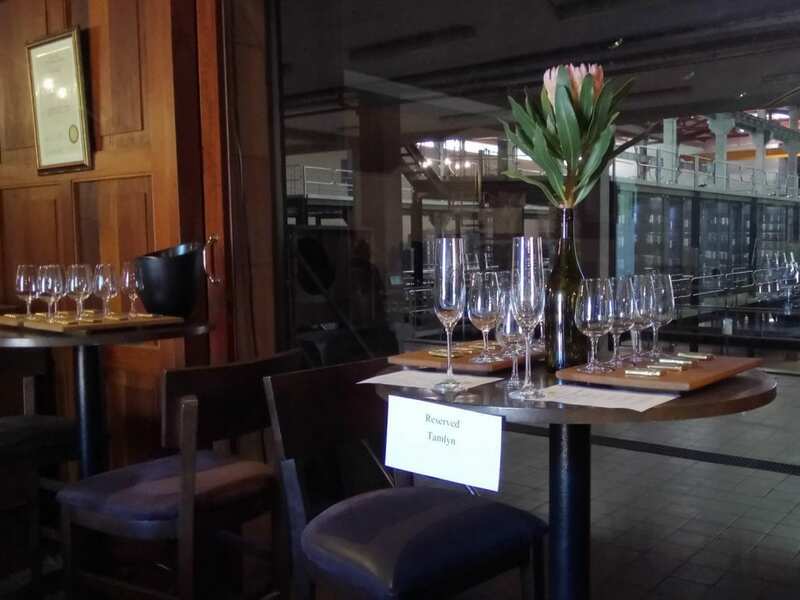 Back to the wine tasting… To start us off rather luxuriously, we were treated to two different MCCs: the MCC Brut 2011 and MCC Brut Rose 2014. After that, Christine returned to pour out the wines we’d be enjoying with the accompanying chocolates. These are paired as follows: 1) Limited Release Chardonnay with Orange Chocolate, 2) Lourensford Estate Merlot with Berry Chocolate, 3) Lourensford Shiraz with Chilli Chocolate and finally, 4) Honey Liqueur with Mint Chocolate. The labelled chocolates are all beautifully wrapped up in gold wrapping, and sit ready and waiting for you (along with your glasses) for the tasting extravaganza. As Christine pointed out, when you unwrap each mini chocolate slab and carefully turn it over, the real uniqueness of each chocolate is exposed, as you can clearly see the different flavourings visible in the fruit pieces or bits of chilli or mint that have been masterfully set to show through the otherwise smooth chocolate surface. Another thing I loved about the small chocolate slabs is their attention-to-detail, as each one is carefully imprinted with a lovely, intricate front pattern, like a stamp. 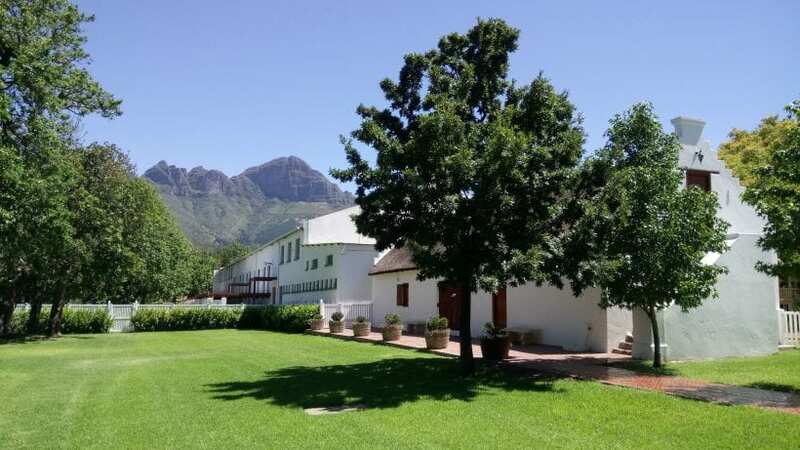 While the chocolates are not produced on the estate, they are made exclusively for Lourensford by a private supplier, and are only sold on the estate. As Christine explained to us, the chocolate and wine pairing works as follows: you start on the left and work your way down. First, you take a sip of the wine and savour its flavours on its own before swallowing. 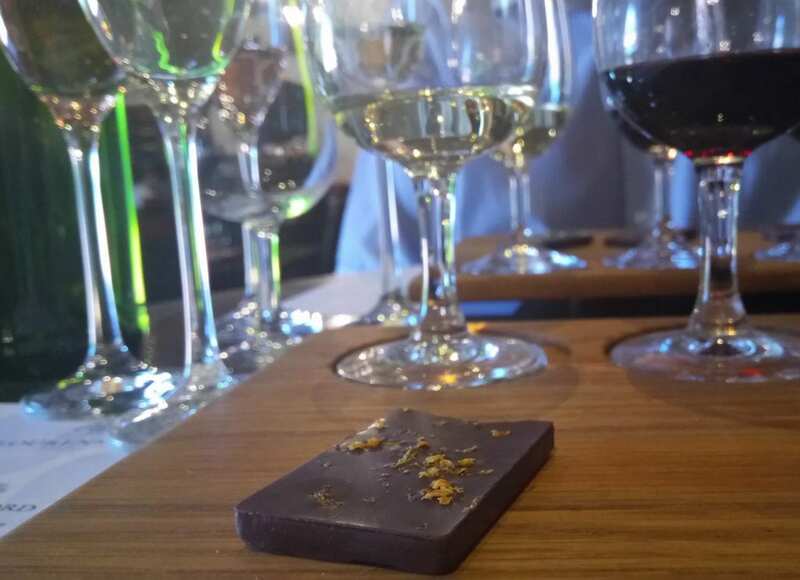 Then, after taking a small nibble off the chocolate, while there’s still some left on your palate, you take another sip to see how the chocolate actually softens, enhances or sweetens the wines. The limited release, wooded Chardonnay was definitely one of my favourite wines – and it’s honestly one of the loveliest Chardonnays I’ve ever had – and I’m a big Chardonnay fan! It was amazing to note the difference in the wines after a bite of chocolate. For me, it was the orange chocolate that provided the greatest taste alteration. Next up, was the Merlot. By nature, Merlot is known for having berry on the palate, so berry chocolate certainly pairs well with it. 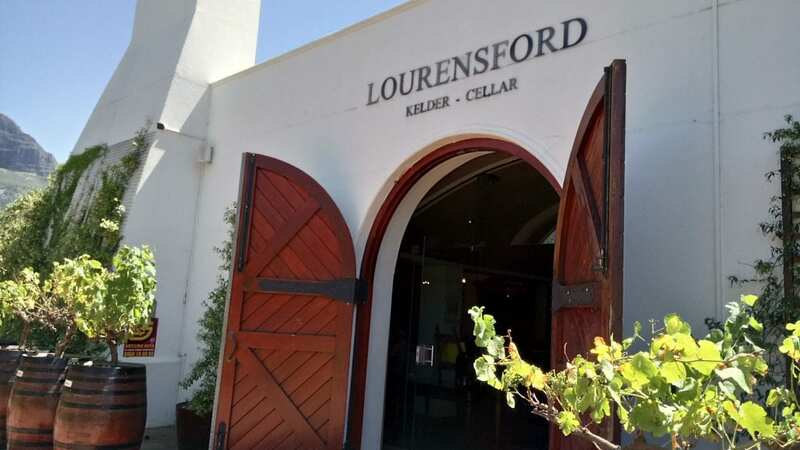 However, due to the area’s cooler climate, Lourensford’s Merlot is higher in tanin, though it’s still a beautiful, strong wine, with a deep red colour. With this in mind, while the other chocolates we tasted were made from 55% cocoa, the berry is made from 70% cocoa to help bring down the tanin’s structure, soften the wine, and bring out the Merlot’s berry notes. The Shiraz which followed the Merlot was a perfect blend. It was an absolutely gorgeous wine and usually, I am not a Shiraz fan at all because I usually find them too overpowering and spicy. 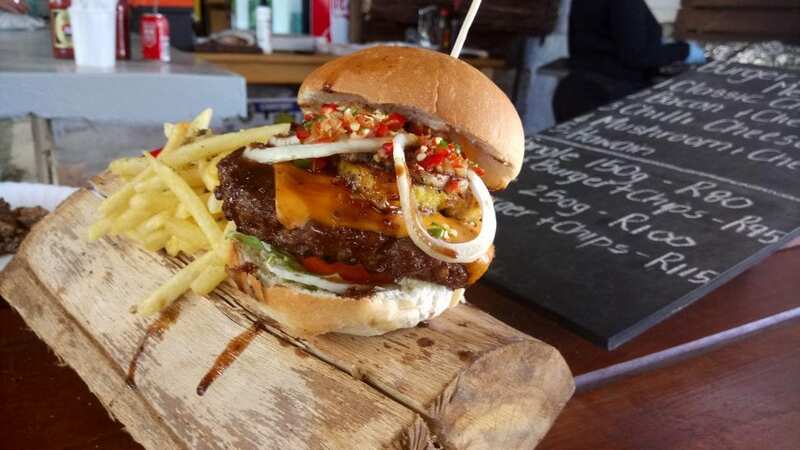 It also went so well with the Chilli chocolate, which really brings out the spiciness. 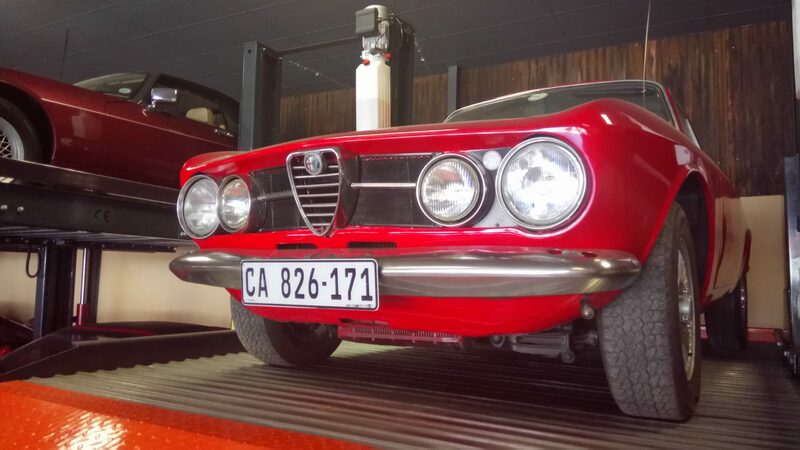 It’s apparently one of the overall favourite pairings – and it’s not hard to see why. It was definitely my favourite pairing! The final pairing we enjoyed was the honey liqueur and mint chocolate. The liqueur is made from 100% blue gum honey (produced on the estate) and 24% alcohol. For this one, if you like, you can dip your mint chocolate in the honey liqueur and let it melt or have it after a sip of wine, as normal. This was probably my least favourite of the four (the honey liqueur is quite unusual – but if you love honey, you’ll most likely adore it) because I found it pretty strong but my boyfriend actually seemed to enjoy it the most of the four tastings. 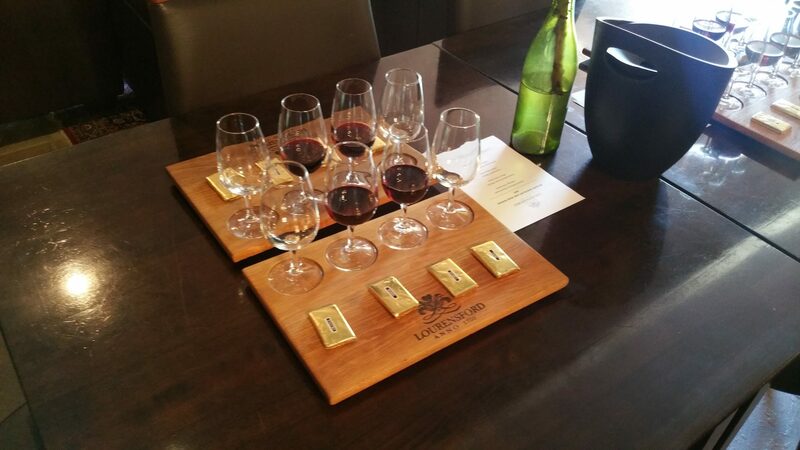 Overall, I am pleased to award the Lourensford Belgian Chocolate and Wine Pairing a strong 9/10 rating. 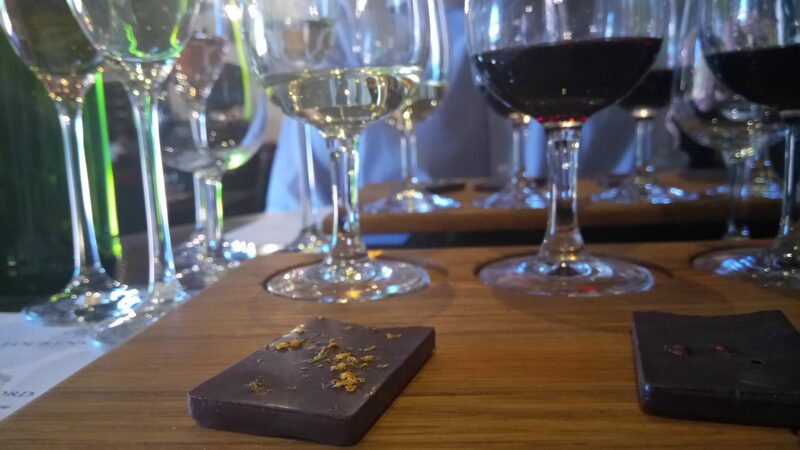 It was a wonderful pairing (well-priced at R85), with a great mix of wines and chocolate, and is definitely one of my favourite wine pairings to date; everything was of the highest quality! My two firm favourites were the Chardonnay and Shirza pairings and while it’s hard to choose between them, the Shiraz and Chilli chocolate combination maybe just edged it for me! 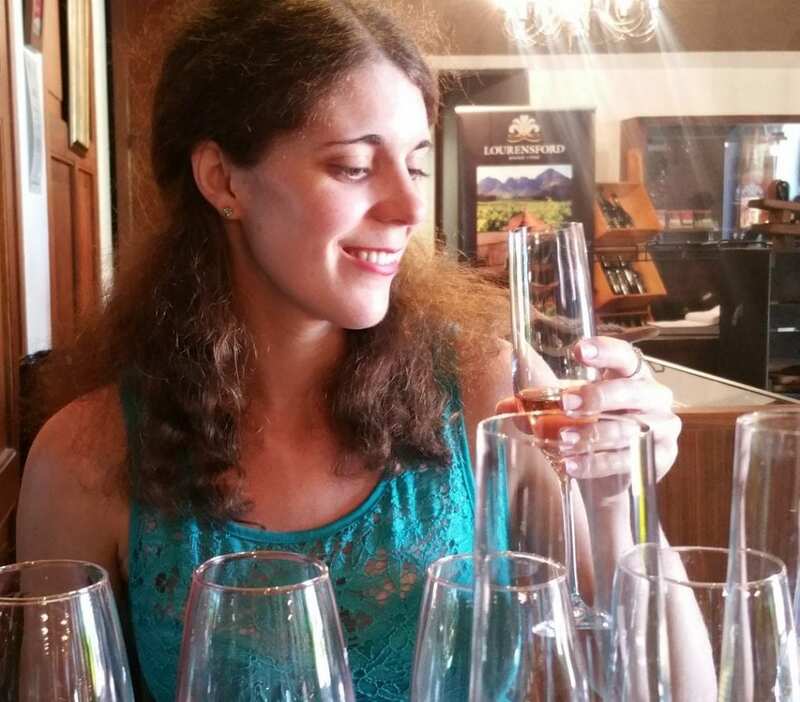 Also, I must give Christine, who looked after us, a special mention because she was impeccable and, like the rest of the estate’s staff, we found her extremely friendly and helpful… For me, this always adds so much to an overall wine farm experience, and is hugely appreciated by visitors! 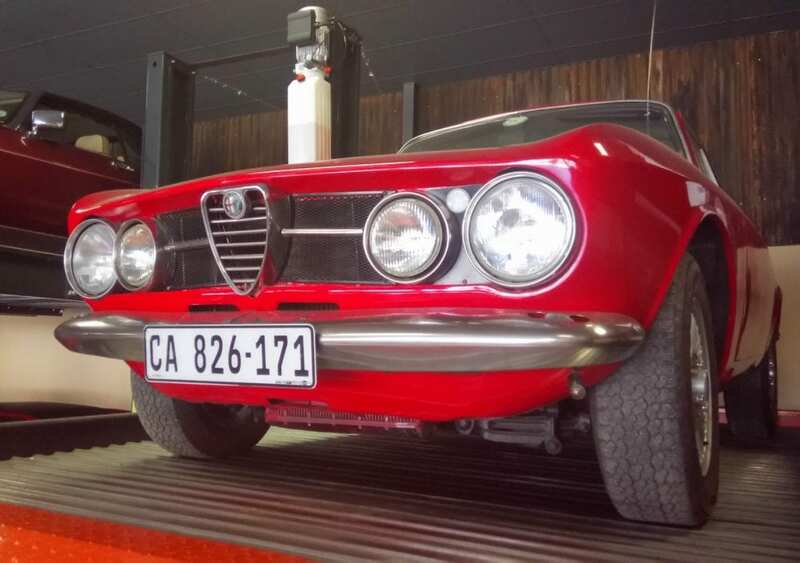 Once we were done, we headed for The Coffee Roasting Co. and Red Riding Hood Deli, where we lunched before exploring the oh-so-cool Motor Studio and buzzing Lourensford Market. All in all, we spent a great day spent at a truly beautiful, world-class estate, that is perfect for visiting with either your family and friends. 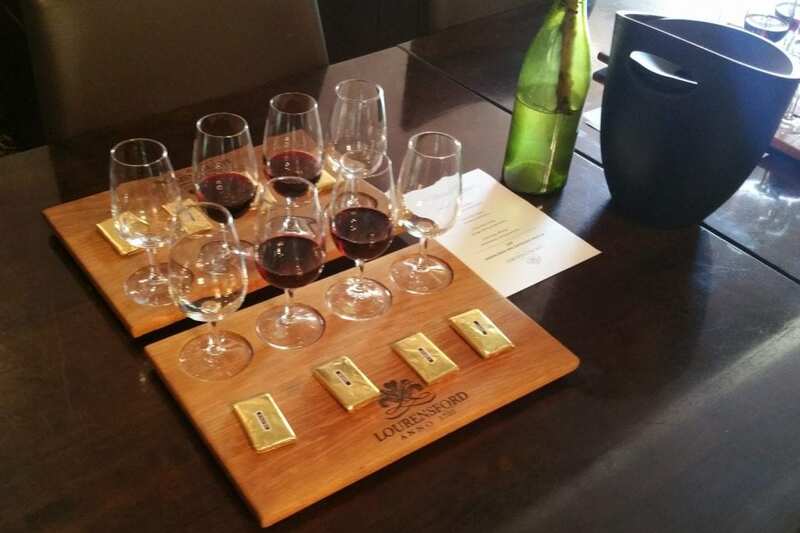 Thank you very much to Lourensford Wine Estate and Christine for this brilliant chocolate and wine pairing so memorable and enjoyable! We loved every moment with you! 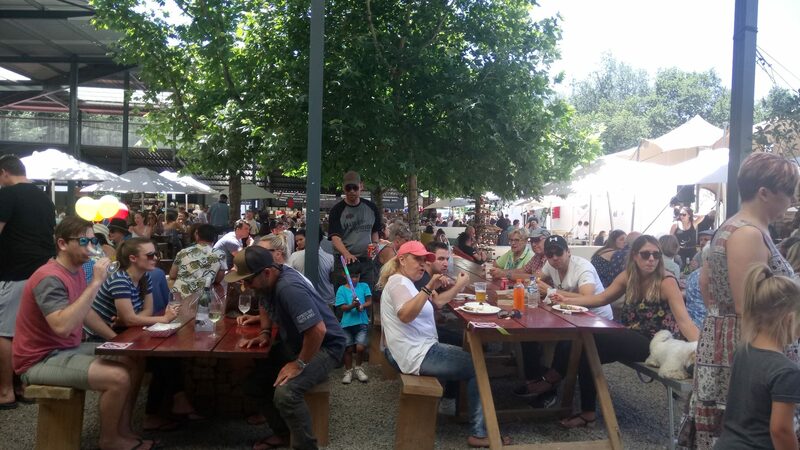 For more information on Lourensford Wine Estate and its world-class offerings, please contact: (021) 847 2333 or email them at: info@lourensford.co.za or winetastings@lourensford.co.za. 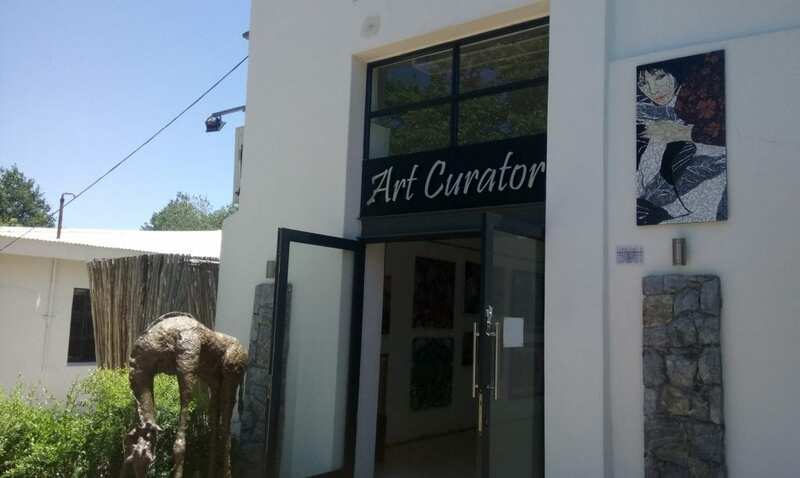 You can also visit their website or find them for yourself at: Lourensford Wine Estate, Lourensford Avenue, Somerset West, Western Cape, South Africa. 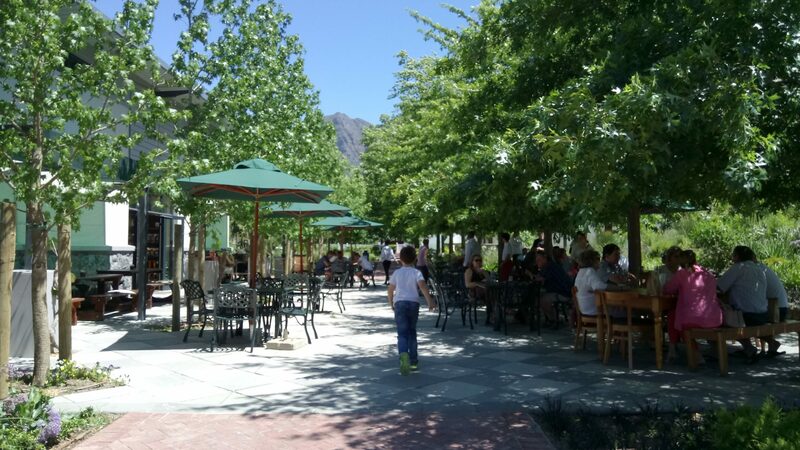 Lourensford Wine Estate is also on all leading social media platforms, so be sure to connect with and follow them on Facebook, Instagram and Twitter.